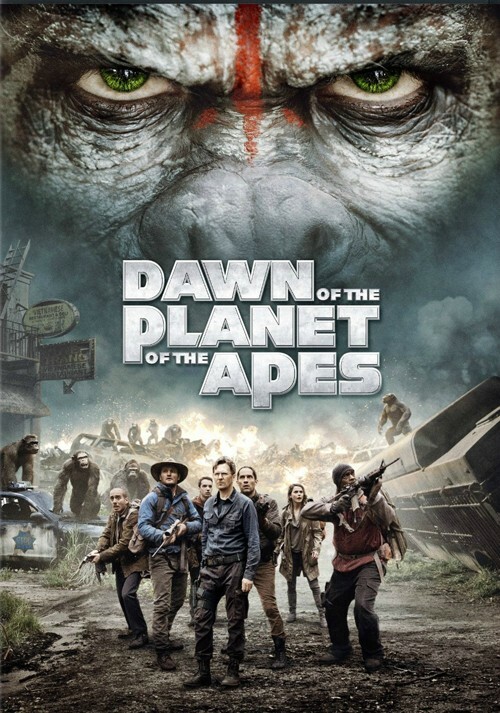 Buy, Rent or Skip Dawn of the Planet of the Apes? Okay, I have heard a lot of people hype Dawn of the Planet of the Apes as being superior to that of Rise of the Planet of the Apes , but I for one don't think it's as good as the first one. Now I did enjoy most of Dawn, but this surpassing the first one never even crossed my mind while watching this tonight. The parts that I really liked in this one is of course anything with Caesar.Andy Serkis brought his A-Game again and earned his paycheck. I'm still astounded by his acting chops and the technological advances in movie making that allows me to feel a deep connection to a CGI character like Caesar. I liked the small scenes with the Human family bonding with some of the other Apes. What I didn't really care for were any of the other humans beyond that. It's weird, but I had no sympathy for them, even if Koba instigated the war between both Apes and Humans. Even though there is a natural progression story-wise and how the plague decimates the world, part of me still wanted to see John Franco and Freida Pinto return. Sure, we get a cameo from Franco and it was actually very good. Touching moment for Caesar and the audience. But the fact that they are pretty much MIA kind of hurts the overall feel of the movie. It makes it feel more like a spin-off film rather than a straight up sequel. It's still a solid flick if not one that seems connected to the first beyond Caesar. Worth a Rent. I'd watch it again if I came across it for sure.